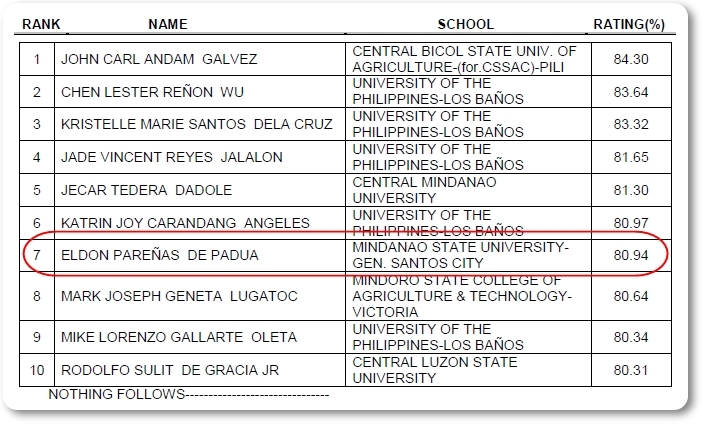 Once again, MSU-GenSan (Mindanao State University- General Santos) has produced another topnotcher in the Agricultural Engineer Board Exam. Eldon de Padua scored 80.94% to finish 7th Place in the August 2016 Agricultural Engineer Board Exam given last August 16-17. 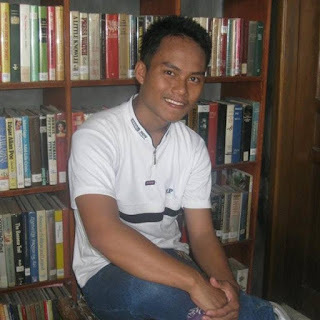 According to his Facebook profile, De Padua hails from Surallah, South Cotabato. Meanwhile, MSU-Gensan reaped a 48% (24 of 50) passing rate in the said examination.